Attending the Eurovision Song Contest can be the starting point for a career on the music scene. 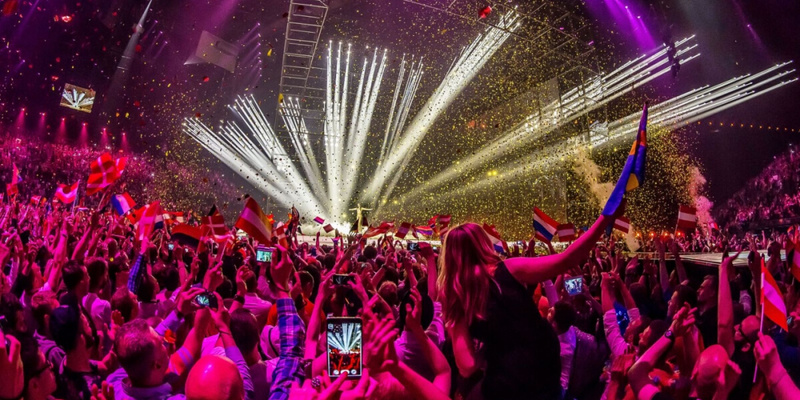 For the vast majority of artists, the international fame fades out shortly after the credits scroll go over the screen after the Grand Final, but for others, Eurovision remains the starting point for a real career in the global music industry. Everyone knows ABBA, a swedish pop group considered by many as the best pop group of the 70's. But do you know how important Eurovision was for them? Before their Eurovision Song Contest victory, ABBA was a new group with no popularity at all. All they wanted was to make a song that could give them the possibility of a good result in Melodifestivalen. They tried their luck a few times, but they failed for more than one time. In 1974, they won Melodifestivalen and after that, Eurovision Song Contest with "Waterloo", which gave them the opportunity of performing on the biggest stages of Europe. A few years later the whole world knew them. Céline Dion is another successful artist that won Eurovision Song Contest. We can point a difference between ABBA and Céline Dion. When Céline participated in ESC, she was already a star in Canada and in France. She decided to participate in the 1988 Eurovision Song Contest at the age of 20. She won with the song "Ne Partez Pas Sans Moi" – one of the most dramatic editions of the contest (1 point gap between 1st and 2nd places), and that victory was important in the transition from Francophone recognition to worldwide recognition. Cliff Richard was already a well established name in the music industry when he sang United Kingdom's entry at Eurovision Song Contest in 1968: "Congratulations". He finished second – only one point from the winning song (Spain: Massiel - "La, La, La..."). This was the closest result yet in Eurovision and to avoid the nerves of the voting Cliff locked himself in the toilet. Everyone knows Cliff Richard, and everyone knows his song Congratulations, which became a number one single in the UK, and peaked several charts along the world. Even the 50th anniversary show for Eurovision Song Contest was named after his song: "Congratulations: 50 Years of the Eurovision Song Contest". All the 43 participants were given the opportunity to perform in places they wouldn't expected to act a year ago. A lot more popularity has a big impact in the number of views or subscribers they get on YouTube, and in the number of followers they get in social networks. Mikolas Josef, one of the most charismatic performers of this year's edition, had around 5,000 people following his Instagram account. Now he has more than 430,000 followers. Eleni Foureira and Benjamin Ingrosso were stars in their home countries before the contest. But Eurovision Song Contest was, in fact, the biggest adventure of their career. The concepts of popularity and success are relative and they depend from many things, one of them is that for you someone can be considered as popular but for me it may not be. Netta Barzilai was the winner and it is not possible to argue against the fact that she was the one who got the most views, followers... everything!